This is a picture of the JASON. 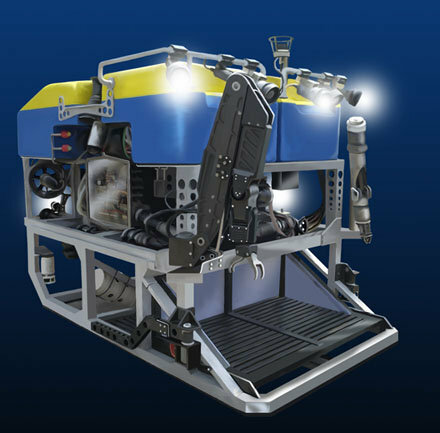 It is an underwater remotely operated vehicle, which will be used on this next expedition to go down to the bottom of the sea and collect data. It is kept on the Woods Hole Oceanographic Institute ship Atlantis. The Atlantis will soon set sail for a research expedition, AT 18-07, about 100 miles off the coast of Oregon. Many inquisitive scientists and expert crew members will be on board.